A friend whom I believe has great taste brought me to this joint two years ago. On that day, I tried 13 flavors, sampling 8, and ordering 5 scoops. I went back a few more times in that year but stopped going. It has been two years since I was here. But the same flavors were there, no change, nothing exciting. The place looked tired, worn-down. 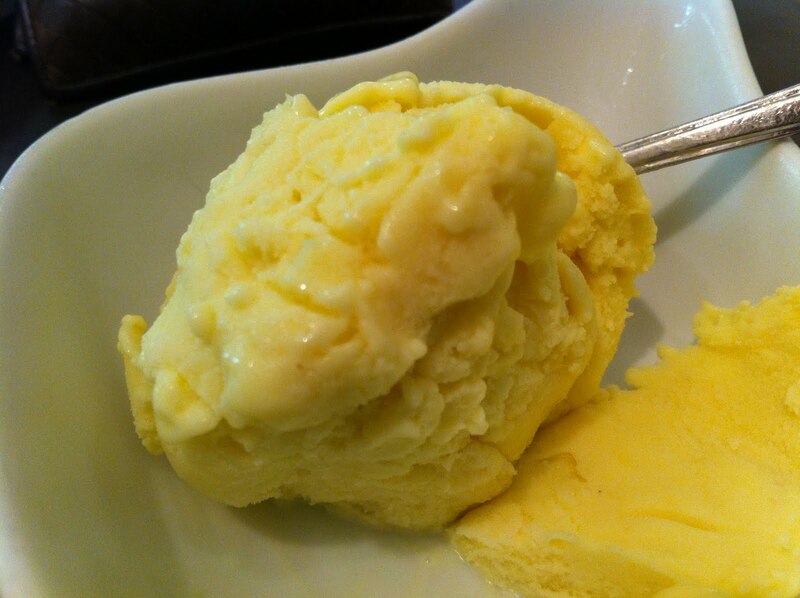 This time, the fear of diabetes had allowed me to only order a scoop of Mao Shan Wang Durian. The size had shrunken visibly, quite upsetting, and not value for money. The taste was as how I remember. Ordinary. In fact, when I tasted the 13 flavors, I thought they were all ordinary. I kept returning because I trusted my friend’s good taste, and I wanted to find out why my friend found the ice cream so special. I honestly couldn’t find the reason. I would recommend Blic (for durian) and Tom Palette’s (for its flavors) and Daily Scoop (for the competitive pricing).